Please click HERE to access this project solution file from GitHub. 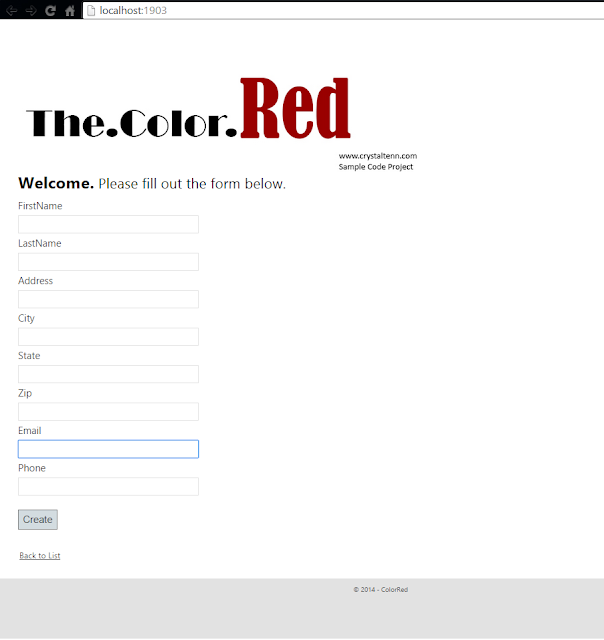 The Color Red is just a little name I threw together... this is a basic design for an online submission form. It includes a space for Name, Address, Phone #, and Email. It requires the phone number and zip code to be entered and will not submit without. You can easily hook a SQL Server database to this and it will function properly. The design is basic and can be adjusted to any needs. I would recommend using a Regex on the phone number and emails to ensure correct information goes into your database. Here is a screenshot of what the database should look like (P.S. I am going to go ahead and remove my personal information from this with Photoshop... so don't mind the blanks on my name... ). 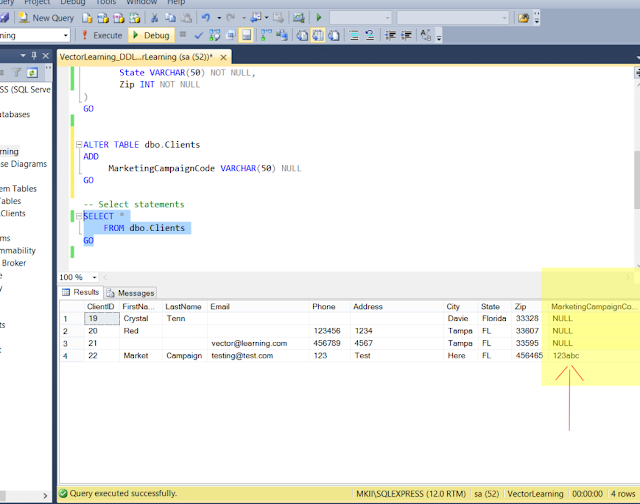 Note the cool feature highlighted with the red arrow! You know how you click on coupon codes and then get re-directed to a website? This will allow for a Marketing Code to be given out as a URL (for ex. for people to click on in an email or other source) and it will be filled into the database along with your name and whatever else you submit if its in your url!